Promotes hair growth. Prevents hair fall. 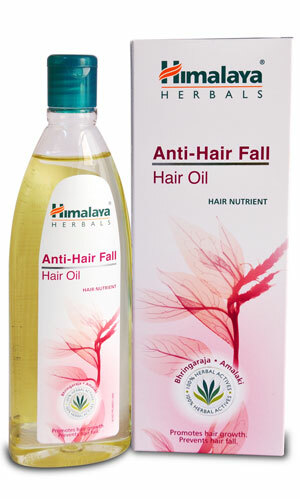 Himalaya Herbals Anti-Hair Fall Hair Oil contains Bhringaraja and Amalaki, proven hair growth promoters. Methi, rich in lecithin and proteins, nourishes the hair roots. Neem and Bilva prevent scalp infections and keep hair healthy. Our hair oil is nonsticky and can be applied daily. Apply Himalaya Herbals Anti-Hair Fall Hair Oil on hair and scalp, gently massage, and leave overnight. For best results, wash with Himalaya Herbals Anti-Hair Fall Shampoo.